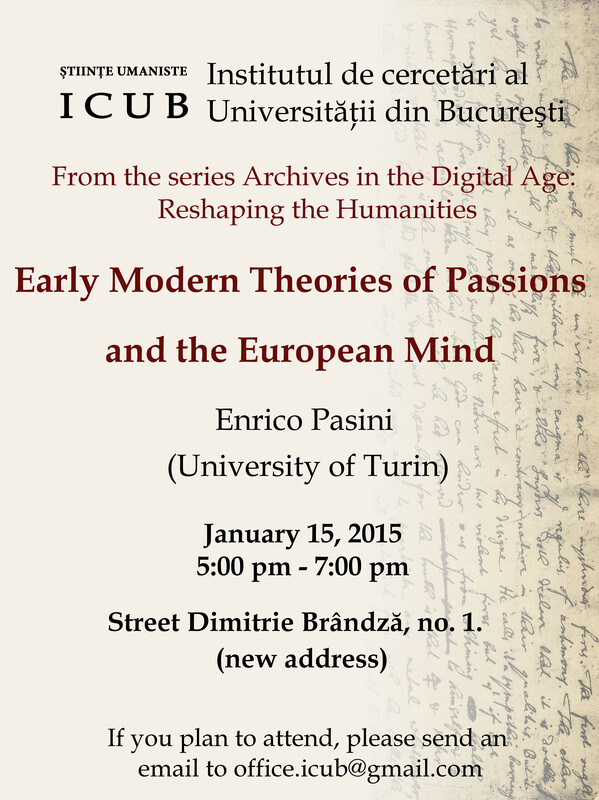 How can we study early modern theories of passions and emotions as a self representation and implicit definition of the European mind? This question is the starting point for a digital humanities interdisciplinary research, that involves intellectual historians and historians of ideas with various disciplinary backgrounds. This entry was posted in Uncategorized on January 8, 2015 by Institute for Research in the Humanities.